Sendible vs. Kontentino – Which one is better for you? Kontentino – born in a social media agency to speed up the content creation process. It helps with collaboration, approving, scheduling, publishing and creating reports both internally and with clients. 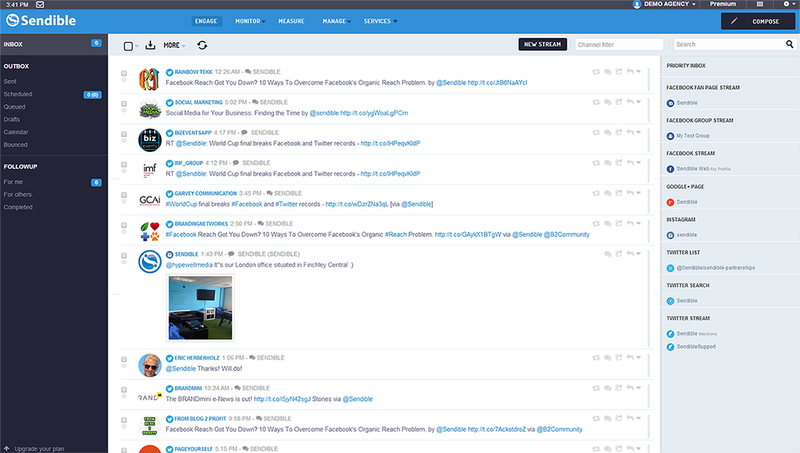 Sendible – a complex and robust tool covering almost all aspects of social media work. The difference also lies in the price as well. While Kontentino starts at €9/month, with Sendible it’s €20/month. Insights and Reporting: They won’t replace full-blown analytics, however, they are perfect for an overall overview of your posts and pages. And you can easily export a report for your client. Monitoring: Keep track of keywords and what people are saying about your brand. Inbox: Messages from all your social media accounts in one place, making it easier to keep track of and organize. Reporting: Create and export reports for your clients and for you to keep track of the work you are doing. Another aspect in which the difference is visible. Kontentino focuses on collaboration and approval – therefore the price per user is lower. It may have a little fewer features, but the ones that are there are done very well. While Kontentino starts at €9/user/month, Sendible at €20/user/month. Kontentino has fewer features but does them really well. If your focus is collaboration and approval, this is the better fit. Also money-wise, the strain on your wallet will be smaller, since the starting price is less than half. 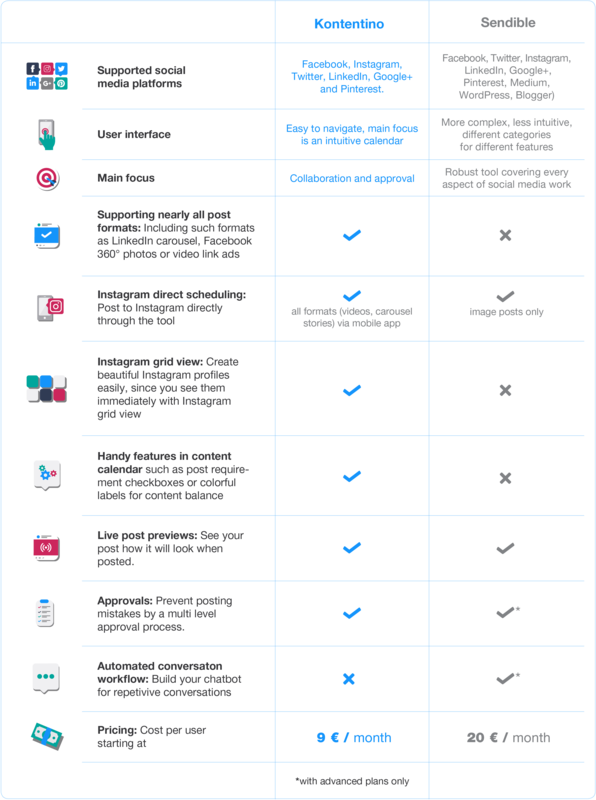 If you plan to use a social media tool for all aspects of social media work – including features such as monitoring or customer service, Sendible does offer these options. However, be prepared to pay accordingly more. If Kontentino speaks to you, test it out during 30 days for free.